You have a lot of things that are important to you – from your clothes and furniture to your sound system, sports gear, and computer. And you want to feel confident that everything you’ve worked for is not at risk. Let Baylis Insurance Agency help you find coverage options that protect you, your family, and your personal property with a renters insurance policy in Hattiesburg. Call us at (601) 268-0601 and let us help to make sure you’re properly covered. Hattiesburg – What you need to know about renters insurance? Your renters insurance policy covers your personal property against theft or damage subject to the limits and deductibles you select. The renters insurance coverage applies even when you are away from home. For a small additional premium, you can choose to carry full value coverage on your personal property, which ensures that you will be paid the full replacement cost of items that are damaged or stolen without deduction for depreciation. Your renters insurance policy protects you and your family members against bodily injury and property damage liability claims and any litigation that may result subject to the limits you select. In addition, you can select medical payments coverage which will pay for medical expenses incurred by a visitor who is injured at your residence regardless of fault. 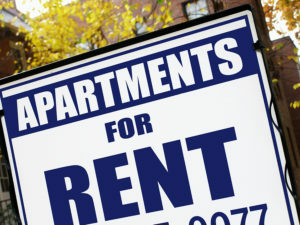 Various limits are available for renters insurance. Let Baylis Insurance Agency help you find the right amount of coverage to suit your insurance needs Mississippi. Call us today at (601) 268-0601. Whether you’re starting out, between homes or downsizing, Baylis Insurance Agency will help you pick the renters insurance coverage that best fits your needs. Give us a call today at (601) 268-0601 and get covered. Be sure to ask about available discounts including burglar alarm credits and the account credit for customers who package auto and/or umbrella policies with their renters insurance policy.